With rising water rates, persistent drought conditions, and a growing U.S. population, water conservation is becoming more important every day. Water and sewerage costs have doubled in one of every four municipalities over the last 12 years, which can hurt property managers today and in the future. 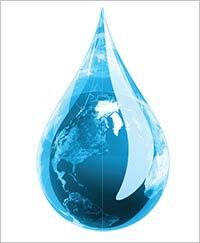 Did you know that March 2013 was the 5th driest year nationally since 1895? According to the National Oceanic and Atmospheric Administration (NOAA), 50 percent of the U.S. continues to fight drought conditions. While conditions are improving, about seven percent of the contiguous U.S. was experiencing severe to extreme drought as of the end of September 2013. At the same time, other utility costs have increased faster than inflation, creating a need for conservation and improving efficiencies. The time is right for apartment communities to begin—or improve on their existing—water conservation plans. While implementing water conservation practices may sound like a very involved process, it doesn’t have to be. Typically, a few modifications with existing fixtures and systems will yield significant savings. A wealth of products and new technologies designed to reduce water consumption are readily available on the market today, helping properties save money while reducing their environmental impact. A number of plumbing products on the market today use less water but still get the job of rinsing, cleansing, and flushing done. The result is a large water savings which trickles down to a better bottom line. Older toilets that still function can be retrofitted with a dual flush system that reduces the amount of water used for liquids and it is less expensive than replacing the whole toilet. Dual flush systems work best with 1.6- to 3.5 gallon per flush (GFP) toilets but can also be used on 1.28 GPF. By installing smart controllers, those that detect moisture and track local weather then change watering patterns, will keep landscapes looking good while reducing consumption. Commercial Evapotranspiration Technology (ET)-based controllers are basically a thermostat for an apartment property’s sprinkler system. ET systems tell the water source when to turn on and off based on current conditions so that over watering in minimized or even eliminated. The beauty of installing smart controllers is that they are typically an even swap for the old controller. No additional upgrade of the irrigation system is necessary, and the change-out can be done rather quickly. Water conservation products certified by WaterSense®, a partnership program administered by the Environmental Protection Agency (EPA), are readily available and are certified to use less water while not affecting efficacy. The WaterSense program was launched to provide businesses and consumers with easy ways to save water, as both a label for products and a resource to people. To get a better idea of what the impact of upgrading to WaterSense products could be for your property, check out the WaterSense Water Savings Calculator. After filling in a couple of fields, the calculator will determine how much water, electricity, greenhouse gas emissions, and money can be saved by replacing your current fixtures with WaterSense certified fixtures. Apartment communities have a great opportunity to conserve water by making a few small tweaks in their buying by seeking out water conservation products. Properties will not only save on their utility bills but will leave more water for future generations. It’s a win-win!